Shaded pole motors feature automatic overload protection for long life. 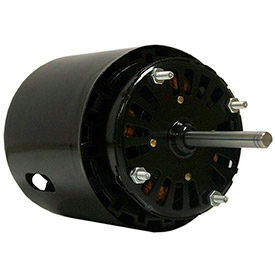 These fan motors have an open enclosure with single phase, 60 Hz operation. 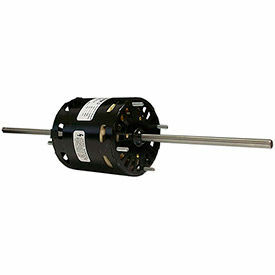 Available with Sleeve or Ball Bearing motor types. 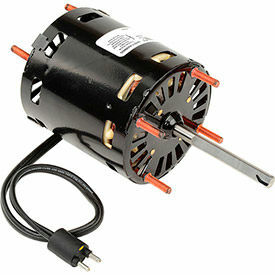 These 3.3 Inch Diameter Motors Are Used For Replacing Old, Overheated Motors. 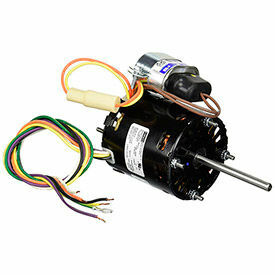 3.3" motors feature automatic overload protection for long life. Stud and bracket mounting for installation. 60 Hz, single phase sleeve bearing motor with open enclosure provides high CFM with 1-speed operation. These Self Cooled Motors Feature An Internal Fan For Mechanical Duty Applications. Self cooled motors are totally enclosed and feature automatic overload protection to ensure long life with low maintenance. Totally enclosed, shaded pole motors offer 1-speed, single phase operation at 60 Hz. Shaft measures 5/16 . Stud mounted for installation. These Motors Are Direct Replacements For GE 11 Frame Motors. 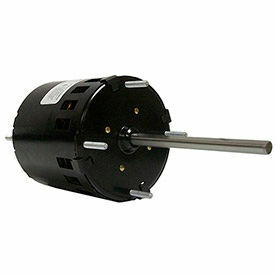 Single phase motors provide up to 1550 RPM. Automatic overload protection for safety that ensures long life. Shaded pole motor measures 3.375 diameter. Includes leads on shaft end. Stud mount for installation. 60 Hz. Shaft measures 5/16 .